Today I learned from the Profile page of Paula Lerner on Facebook that she has passed away today. It was as shocking a news as it is tragic. Though I never met her in person, we communicated through e-mails. She honored me and my husband with her picture cards sent to us with her signatures on them. She also helped me a lot during one of my projects of winter clothes drive for Afghans in 2009. "Paula Lerner, of Belmont, MA passed on the morning of March 6, 2012. She had been battling against breast cancer since October 13, 2004. After surgery and ongoing treatment, she was able to resume a fairly normal life. Exactly five years later, she was diagnosed with metastatic disease to the bones, which eventually spread to the brain, liver, and lungs. Her entire immediate family was able to be with her for her last week, including husband Thomas Dunlap, daughters Maia and Eliana, brother Matthew Lerner, his wife Gennie Tierney, niece Jessie Lerner, nephew David Lerner, her parents Dorothy Lerner and Bernie Lerner, and step-mother Mary Lerner. in recent years became a successful producer of multi-media work. She regularly focused on women's issues throughout her career. You can see most of her work in her website at www.lernerphoto.com. Paula made 5 trips to Afghanistan on her own and as a volunteer for the Business Council for Peace (BPeace). 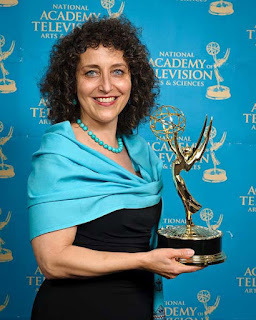 She won on an Emmy in 2010 for her work “Behind the Veil,” a groundbreaking, in-depth multimedia feature about the lives of women in Kandahar, Afghanistan (www.tiny.cc/paula-emmy). She co-authored the book Why We Walk: The Inspirational Journey Toward a Cure for Breast Cancer. Ironically, she was diagnosed with breast cancer while she was still working on the book. She grew up in Hudson, Ohio and was a graduate of Harvard University, where she met her husband Thomas. There will be a memorial service on Friday, March 9th at 10 am at Beth El Temple Center, 2 Concord Avenue, Belmont, MA 02478. • Metavivor at www.metavivor.com (research, awareness, and support for families/patients with Metastatic breast cancer.)"